Tonelli’s Can Can table got the eye of Interni magazine, Italy’s authority in interiors and contemporary design. The Can Can was featured in a detailed article in Interni’s December 2018 issue. 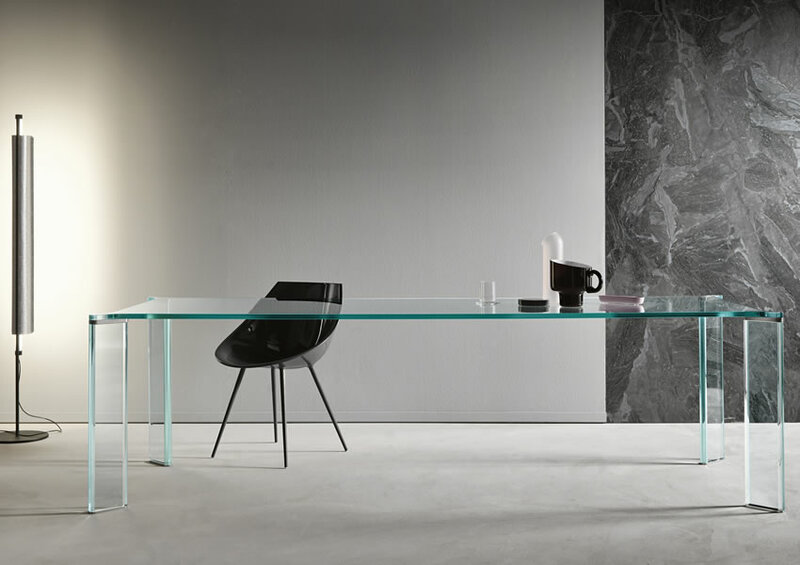 Designed by Mario Milana, the Can Can is a dining table that features a stratified glass as table top. One may also choose the stratified ceramic as top. Both tops were featured in Interni, one just as elegant as the other. The ceramic top could be in a matt or polished finish. The Can Can is usually a striking two-toned table. 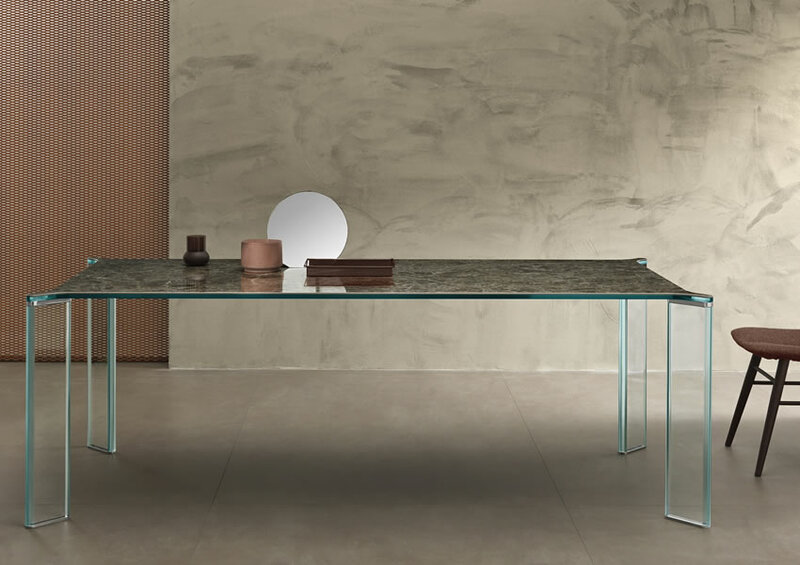 While the top could be in glass or ceramic, the legs are either in 40mm glass or walnut canaletto. The joints that connect the top and the legs are available in various alternatives such as stainless steel, brass or copper. 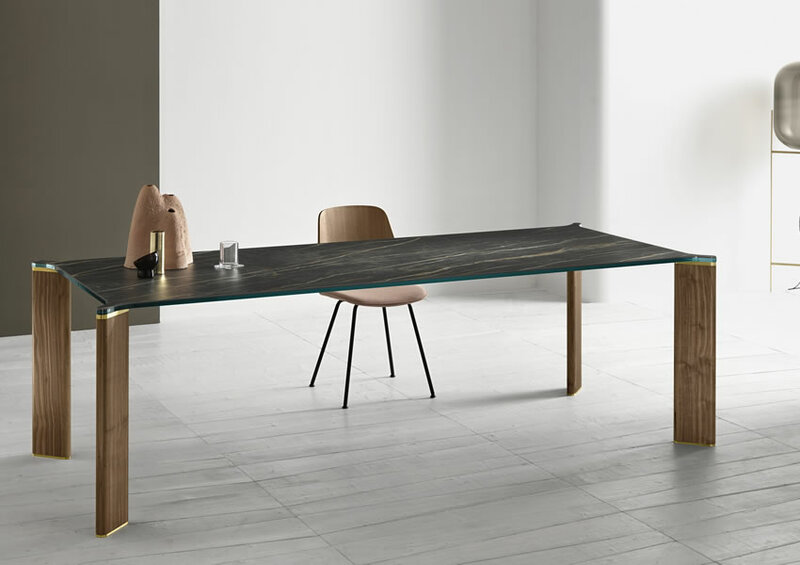 The Interni article featured four variations of the Can Can, which is a versatile table that could fit as office furniture or a dining table. Manufactured by Tonelli, which specializes in glass furniture, the Can Can exemplifies the brand’s important principles of tradition combined with innovation. A brand like Tonelli is exactly what Interni zealously writes about: the growth of design through the knowledge and skills of designers. Interni wrote about the distinctive features of the Can Can as well as Tonelli’s use of technology.